Your store identity goes far beyond what you sell and the customers you are trying to attract, it also includes your day to day operations. You need to have your stores contracts, policies and employee routines written and enforced from the moment you open your door, not only to protect your business but the interests of your customers and consignors as well. One of the most important aspects of the consignment industry is having a well defined consignor contract. Review this checklist when writing your stores unique contract. 1. Establish that item prices are set by your store. Remember you are the expert. 2. 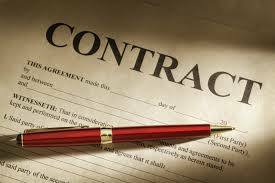 How long will your contract with your consignor last? 60 or 90 days is a norm. 3. Will their be price reductions within that term? After 30 days is there a 10-20% reduction, what is your price reduction schedule? 4. Consignor Splits: 50/50 and 60/40 are standard for most consignment stores but splits can vary depending on the quality of the merchandise or the frequency of the consignor. 5. Schedule when and how unsold merchandise will be picked up, donated or store owned. It is not your responsibility to return their unsold merchandise. If they don’t pick it up in say 5 days, it belongs to the store to donate or sell at your discretion. 6. How will you pay your consignors? Many consignors will mail checks under a certain amount, usually 20 to 40 dollars and have larger checks be hand picked up in store. Remember that there are also options like Google Wallet and PayPal that allow you to transfer money through email saving you the expense of ink and checks. 1. Determine the quality of inventory you are willing to accept? 2. When do you accept new inventory? 3. When will it be placed on a rack or on your sales floor? 4. What is your returns policy? For most consignment stores all sales are final because of the accounting nightmare but there can be a few exceptions. Items like lamps or clocks may be taken back if they fail to work but make sure to have what items you will take back very well defined for your customers. Make sure whatever policy you establish is posted all around your stores and on your receipts. You can also offer your customers a 24 hour hold on items to make sure that it is something they would like to purchase. This offsets the stigma created by a no returns policy. Furniture Consignment stores do have the option of offering a 24 hour approvals, take a piece home and see if it is going to fit, but take the persons credit card information or post dated check and have a form written up that they need to sign.